As in past years, it’s easy for CUE faculty with a PD fund to register for this conference and not be out of pocket. Just email Yvonne Dutton at yvonne.dutton@concordia.ab.ca. Regular registrations may be made at https://goo.gl/imNeSJ. We know that many of you have a passion for Indigenous People and we would love you to present. Academic Papers and Presentations along the lines of the theme of Indigenous People and the Christian Faith may be approached interdisciplinary from the Humanities and Social Sciences and from the sub-disciplines of philosophy, theology, psychology, sociology, history, culture, art and ethics. There is a broad range of possible topics with some overlap. This list is neither exhaustive nor intended to be restrictive: Indigenous People and Biblical Studies, Indigenous People and Theology, Indigenous People and the Church, Indigenous People and Education, Indigenous People and Politics, Indigenous People and Government Policy, Indigenous People and Ethics, Indigenous People and the Arts, Indigenous People and Law, Indigenous People and Literature, Indigenous People and Philosophy, Indigenous People and Colonialism, Indigenous People and Post-colonialism, Truth and Reconciliation, and Indigenous Christianity. 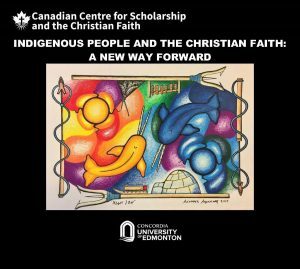 CCSCF, as an open and inclusive academic institution, also welcomes proposals related to Indigenous Spirituality. For guidelines and submissions go https://goo.gl/Jhytpw. Vernon Press will be publishing the proceeds of this conference. Scholars who want their original unpublished papers in this book must submit them for adjudication by 31st July 2018 to the editor Dr Bill Anderson at bill.anderson@concordia.ab.ca. Scholars need not present at the conference to submit their papers for consideration. Artwork and Posters may be from any of the following sub-disciplines along the theme of Indigenous People and the Christian Faith: Music, Poetry, Drama, Dance and the Visual Arts including Painting, Sculpture and Graphic Design. Indigenous story-tellers and performance artists are also highly desirable for the conference. CCSCF, as an open and inclusive academic institution, also welcomes proposals related to Indigenous Spirituality. Artists may sell their artwork at the conference. For guidelines and submissions go to https://goo.gl/Jhytpw. This conference is supported by the Concordia Indigenous Student Council.